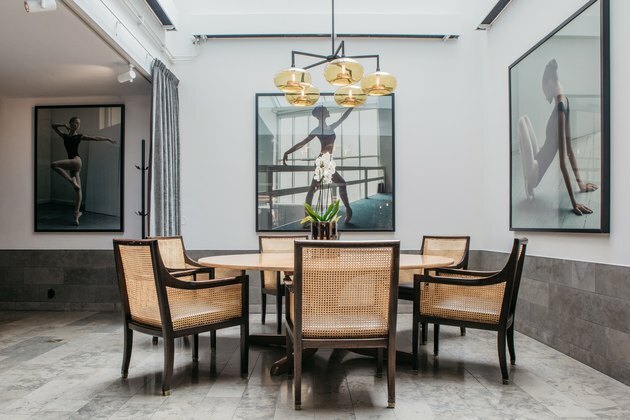 Architect Gert Wingårdh had good bones to work with when overhauling the art nouveau building: high ceilings, stone floors, tall arched windows, and a spiral staircase were unaltered. This all contributes to a sense of history that isn't stuffy. 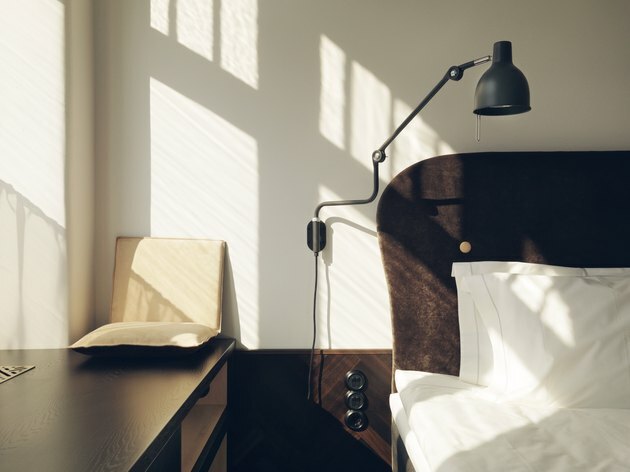 "Miss Clara is a symbiotic study in modern day art nouveau and timeless Scandinavian design," says Gustavo Catenacci, the hotel's managing director. 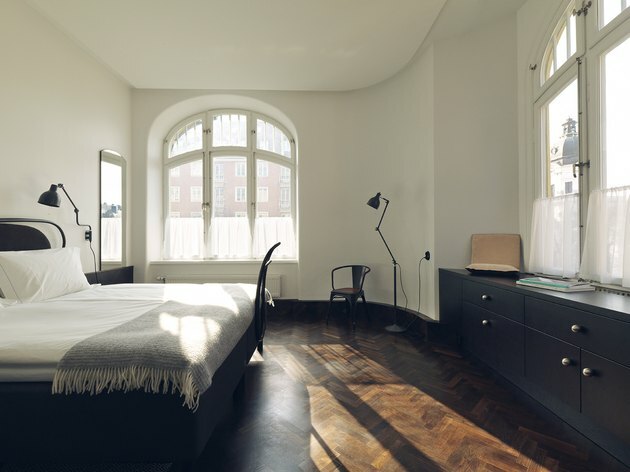 The rooms offer minimalist decor that still feels Scandi in nature: think classic wood herringbone floors, bentwood furniture by Swedish company Gemla, and neutral-toned linens. 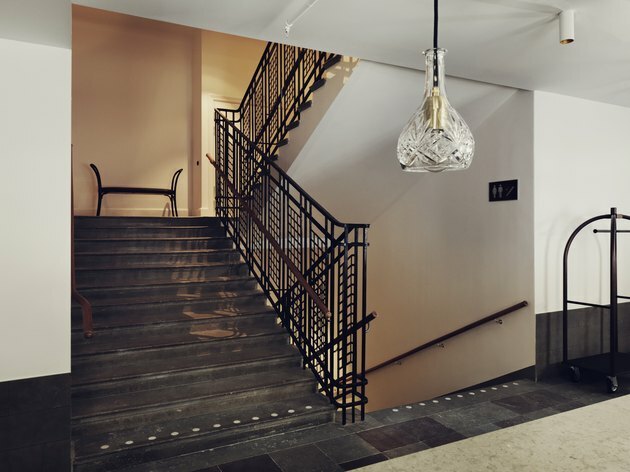 You'll find Miss Clara smack-dab in the middle of Stockholm's Norrmalm neighborhood, a bustling central area that's also home to the city's greatest cultural institutions. As such, it's become a popular spot for locals who laze the weekends away during all-day brunches or to meet up for cocktails and live DJs on Fridays. The 1910 building, located on Sveavägen, one of the neighborhood's bustling thoroughfares, boasts delightfully classic art nouveau windows. The stairway and banisters are original to the building. Many of the rooms include handsome built-in storage units, custom created for the hotel. 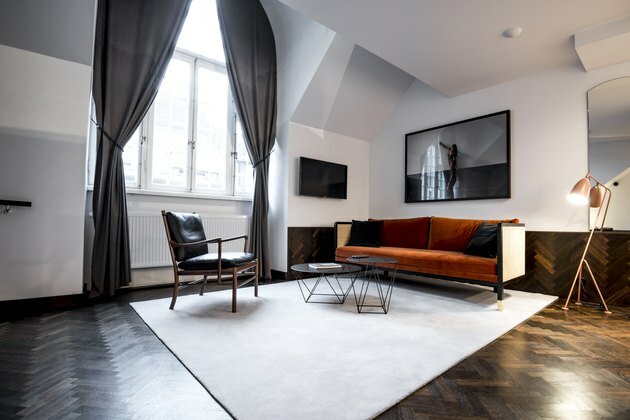 All of the spaces at Miss Clara are packed with warm and neutral tones, from the dark herringbone parquet floors to espresso-finish light fixtures, and — in the suite category — pieces like this burnt-orange plush sofa, even more eye-catching when paired with sensuous framed photos. 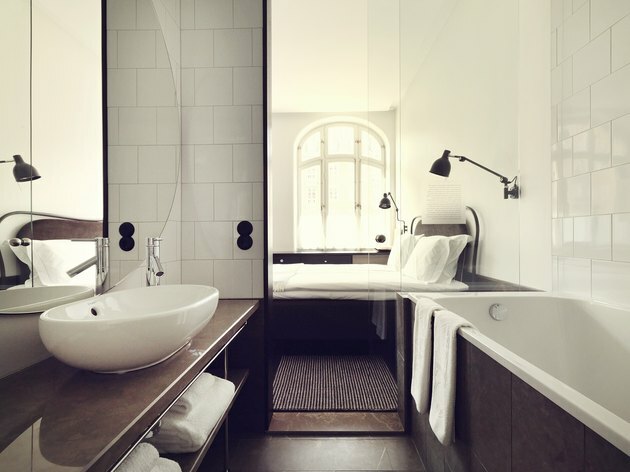 Each of the room's baths flaunt a timeless look — white subway tiled walls and limestone flooring — that is just as relevant today as it might have been in the early 1900s. Glass walls separate bathroom and bedroom areas. The Ballerina project is a permanent exhibition of photographs by Max Modén, featuring ballerina Ella Persson shot at Miss Clara. Dangling suspension lighting with cut glass shades add glamour, while banquette leather seating in a rich orange-red introduces warmth. 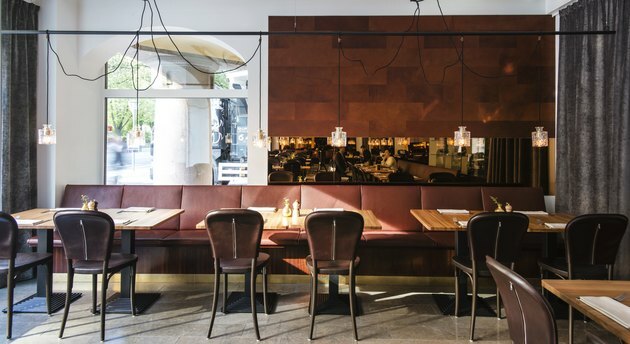 The rugged leather details in the restaurant and hotel are thanks to the work of Tärnsjö Garveri, one of the only tanneries in Europe dyeing leather with tree extracts and not chrome (which can be harmful to the environment).